Who can consume EnPlus Gold? EnPlus Gold can be consumed by adults and elderly with the following conditions: Immunocompromised (COPD, HIV/AIDS, burn, etc. ), cancer, neurological disorders (stroke, Parkinson's Disease, Alzheimer's disease), sarcopenia, Irritable Bowel Sydrome, and those on pre- and post-surgery. 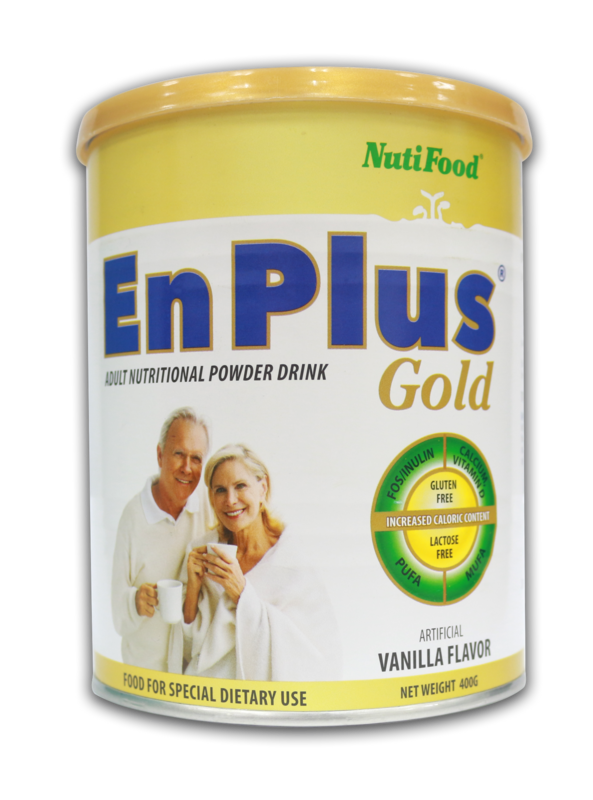 Adults and elderly who want to gain weight may take EnPlus Gold as an oral nutritional supplement. On the other hand, those who want to lose weight may consume EnPlus Gold as a meal replacement. What are the benefits of consuming soy protein? Consumption of soy protein in place of animal protein has been found to reduce serum concentrations of total cholesterol, low-density lipoproteins (LDLs), and trigylcerides (Arliss & Biermann, 2002; Morrison & Hark, 1999). Soy in your diet can lower cholesterol. Many research studies support this claim. The U.S. Food and Drug Administration (FDA) agrees that 25 grams per day of soy protein may reduce the risk of heart disease. Health benefits of soy products may be due to their high levels of polyunsaturated fats, fiber, minerals, vitamins, and low saturated fat content. Can soy protein increase uric acid levels and cause gout? Soyfoods have long been a part of traditional Asian diets; they provide plentiful amounts of high-quality protein and have a favorable fatty acid profile. In addition, provocative research suggests soyfoods offer health benefits independent of the nutrients they provide. However, there is a widely-held belief among Asian health professionals and the public that soyfoods increase risk of gout and potentially precipitate acute attacks in patients with this disease. Data from the five human intervention studies evaluated indicate soy protein does elevate serum uric levels, but in response to amounts comparable to Asian intake, the expected rise would almost certainly be clinically irrelevant. Although there is a need for long-term research, on the basis of the existing data there is no reason for individuals with gout or at risk of developing gout to avoid soyfoods. Soyfoods are also sometimes considered to be contraindicated for patients with gout because they can be high in purines. However, epidemiologic research has shown that plant proteins are not a risk factor for gout. In fact, the British Society for Rheumatology and British Health Professionals in Rheumatology recommends that gout patients consume soyfoods and other vegetable sources of protein. This recommendation is consistent with clinical studies showing soy protein doesn’t substantially increase serum uric acid levels. If you have experienced a gout attack or have high uric acid in your blood (hyperuricemia), it may help to reduce your intake of meat, seafood, and alcohol. What are the benefits of the vegetable fat blend in EnPlus Gold? The vegetable fat blend in EnPlus Gold is a good source of Medium Chain Triglycerides from palm oil, Polyunsaturated Fatty Acids from sunflower oil and Monounsaturated Fatty Acids from canola oil and is a healthy alternative to improve blood lipid profile. Can diabetics consume EnPlus Gold? EnPlus Gold is a standard polymeric enteral formula which is specially formulated to manage malnutrition in adults and elderly. This is not specifically designed for people with diabetes. If you are diabetic and wish to use EnPlus Gold, consult your health care professional to assess if EnPlus Gold would be a suitable option for you. Can patients with kidney disease consume EnPlus Gold? EnPlus Gold is a standard polymeric enteral formula which is specially formulated to manage malnutrition in adults and elderly. EnPlus Gold is not specifically designed for people with kidney disease. If you have kidney disease and wish to use EnPlus Gold, consult your health care professional to assess if EnPlus Gold would be a suitable option for you. Can I consume EnPlus Gold if I'm pregnant or nursing? Pregnant women and nursing mothers should consult a physician before consumption of this product. What does 1:1 energy density mean? 1:1 energy density means 1 mL of EnPlus Gold provides 1 kcal. This is provided that the serving suggestion of 6 scoops dilluted in 200 mL of water is followed. Yes. EnPlus Gold is gluten-free. Yes. EnPlus Gold is lactose-free. Does EnPlus Gold contain cholesterol? No. EnPlus Gold is cholesterol-free. Can EnPlus Gold be used as a meal replacement? Yes. EnPlus Gold has complete nutrients to replace a meal. EnPlus Gold can provide sufficient energy required for function and optimum health. What are the effects of FOS and inulin as Dietary Fibers? Fructooligosaccharides (FOS) and inulin are found naturally in chicory root. Both are fructo-polysaccharides, comprised of glucose-fructose subunits. Since FOS and inulin are indigestible by our bodies, they get transported to the large intestine where they feeds microbes and promote fermentation. FOS and inulin have been dubbed as a "prebiotic", essentially serving as fertilizers for the bacteria in the colon. Certain lactobacillus species of bacteria have been shown to preferentially ferment FOS and inulin. For this reason, they are being promoted as supplements to feed the good bacteria in the gut. What are the differences between FOS and inulin? Fructooligosaccharides (FOS) are linear chains of fructose that range from 2 to 60 units and often terminate in a glucose unit. Since FOS are shorter polymers, these will feed only the ascending colon. On the other hand, inulin which is a longer polymer, will feed more probiotics because it can reach the transverse and descending colon. Inulin is a term applied to a heterogeneous blend of fructose polymers found widely distributed in nature as plant storage carbohydrates. What is the fiber requirement of Filipino adults? Fifty-year old women need 25 grams of fiber per day, while men need 38 grams. Women more than 50 years old need 21 grams of fiber per day, while men need 30 grams. EnPlus Gold provides 32% RENI for iron. Two to three servings will result to 96% of RENI. Will this cause constipation? Dietary iron does not cause constipation issues. As a result, in order to replenish your iron stores, you should make sure you get as much iron as you can from your food. What is the osmolality of EnPlus Gold? EnPlus Gold has an osmolality of 384 mOsm/kg. What is the osmolarity of EnPlus Gold? EnPlus Gold has an osmolarity of 300-600 mOsm/L. How can I make 1 serving of EnPlus Gold? 6 scoops EnPlus Gold must be dilluted in 200 mL water to produce 230 mL serving. In reconstituting EnPlus Gold, use *COOLED BOILED WATER. *Boil water first, then let it cool to about 45 degrees Celcius or below. How many servings of EnPlus Gold should I consume daily? Adults and elderly may drink 1-3 glasses per day of EnPlus Gold, or as directed by the doctor or dietitian. What is the shelf life of EnPlus Gold? EnPlus Gold has a shelf life of 24 months. How should EnPlus Gold be stored? Opened can of EnPlus Gold must be covered well with plastic lid and should be consumed within 3 weeks. It must be stored in a cool and dry place, but not refrigerated. Avoid direct sunlight. Reconstituted EnPlus Gold must be consumed right away or covered, refrigerated and used within 24 hours. Unopened cans must be stored at room temperature. Where can I purchase EnPlus Gold in the Philippines? EnPlus Gold is available at Mercury Drug stores and leading drugstores nationwide. 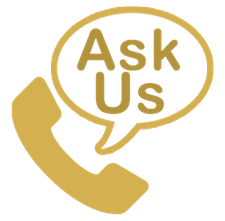 You may also reach the BK Nutrition Care Hotline at (02) 796-3162, 0917-140-0123, 0999-874-0123, 0932-480-0151 for home care delivery. How much will each can of EnPlus Gold cost? Each 400g can EnPlus Gold costs PhP 788.00 srp. A bigger can of 900g costs PhP 1,650.00 srp.